No matter how hard any of us try to deliver the best products and the best service, something can always go awry. For instance, there’s the online florist who sent Valentine flowers on February 16, or the online dress boutique who sent a little black dress in a size 14 instead of the ordered size 4. Always start out with a FAQ. The more answers you can provide on your website, the easier it will be for customers to understand your policies, but remember that competition is keen for online businesses, and you will want to compare your policies with your competition. Don’t make excuses. Take responsibility when something goes wrong. If flowers were meant to be delivered on Valentine’s Day, there should not be the excuse that “it was a very busy day.” What husband, boyfriend, or son wants to hear that the special bouquet he ordered was not delivered when it should have been? Take steps to resolve the problem in the future, but do something to assuage the anger and frustration of the customer. Begin the process as soon as possible, and if you don’t have an immediate solution, then follow-up with an email or phone call as soon as you do. Communicate with your customers. Offer relevant information. Have blogs for timely information. If you’re a florist, why not blog about planting and seasonal flowers in different parts of the country? Make your information useful, so customers and potential customers will want to return to your website. Offer discounts and coupons after you have resolved the customer’s problem. Answer complaints within one day. Imagine how insignificant and angry a customer could become if they don’t hear from the online organization? There’s no one they can face personally and no store they can visit. Ask for feedback. Make customers feel appreciated. In turn they will show their appreciation by clicking on your website again. No one is immune from making mistakes, but keeping your head and appreciating customers in an honest, upfront manner promises success. 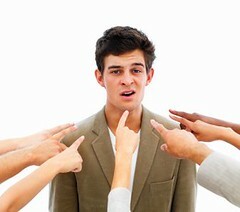 Give the benefit of the doubt – because customers feel they cannot project themselves (eg scream, plead, cry, argue). Tell the truth – related to your point 2. There are some great tips here – as you say things do go wrong so you need to have a strategy in place with putting it right quickly. I’d add that websites need to make it easy for customers to contact the company’s customer service team through whatever channel they want – web, phone or email and increasingly social media. Have a single, highly visible contact page on your site that leads to these options but allows them to ask questions (and potentially get the answer they are looking for) before they need to get in touch with you. In my experience of dealing with frustration or angry customers over the phone is harder to deal with than would be online. Replying through email can be productive since people will understand more. If people call you on the phone you are more likely to get chewed out. With email can’t use their mouth only their fingers. My preference of communication with angry customers would be email over the phone any day. Some companies don’t even list phone numbers and only leave email addresses. This is smart since less people will take the time to complain that way. « How Do You Know When Your Customers Are Starting to Stray?